One of our favorite types of reviews are when an organization we LOVE reaches out to us. When Operation ResCUTE reached out to us and asked us to include them in our Holiday Gift Guide, we had no hesitation. We wrote about our first rescued cat back in August of last year HERE. 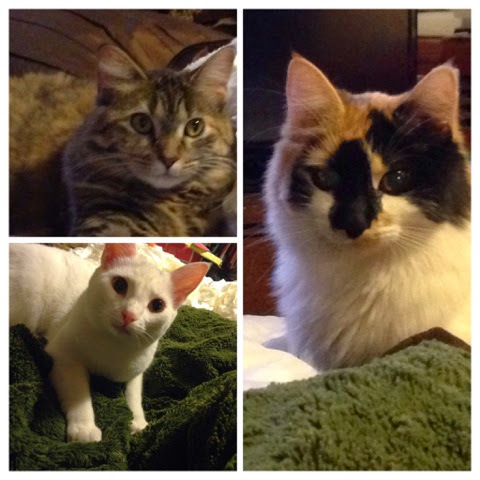 Pet rescues holds a special place in our hearts because we adopted our three "girls" from the Humane Society last year after we lost our dear, sweet Panda May, our cat- and family member- for 17 years. Our girls are so special to us, and we happen to think they are the most amazing kittens ever. The entire family works hard throughout the year giving back to this animal rescue organizations. This year, you can give back to animal rescue organizations and raise awareness too through a really special gift. Operation ResCUTE is a way to share your love with saving animals with the children in your lives! 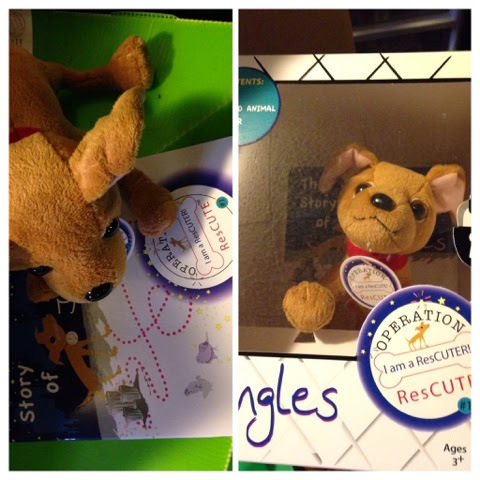 In the Operation ResCUTE Gift Box you receive Jingles the dog, a book, and a sticker. Everything comes in a nice box that your kids can use as a pet carrier as well! For only $29.99 you can share you love of animals with you children, and teach them about the importance of adopting and rescuing animals! What a gift to share this holiday season! MamaBreak received an item to review and share on our Holiday Gift Guide. This post contains affiliate links. We only recommend products that we love! Thank you for supporting MamaBreak!